Hi again--3 days in a row, I can't believe it! See? I'm actually kind of sticking to this blogging schedule I was talking about yesterday. I will let you know that we're going on vacation tomorrow so it'll probably be pretty quiet here for a week or two, but it's a planned break and then I'll be back again after that. Also, the Etsy shop is on vacation, too, but I am answering messages and emails while away so if you have questions, don't hesitate to ask! 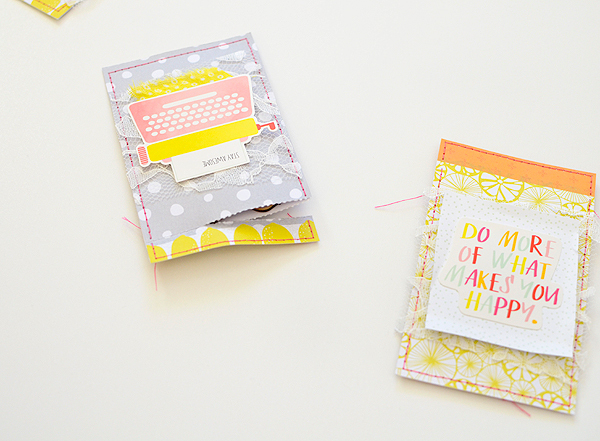 I had a post up on the Gossamer Blue blog yesterday and it's a long one, but it was a lot of fun to make! I won't share the entire post here, just a few photos and you can read all about the project on the GB blog. 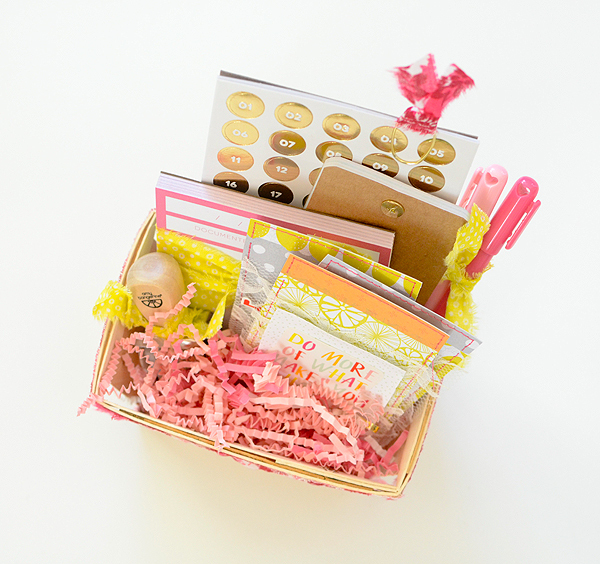 I filled a berry basket with some fun goodies for a fellow crafty friend and shared a couple quick tutorials on 2 of the items I included. 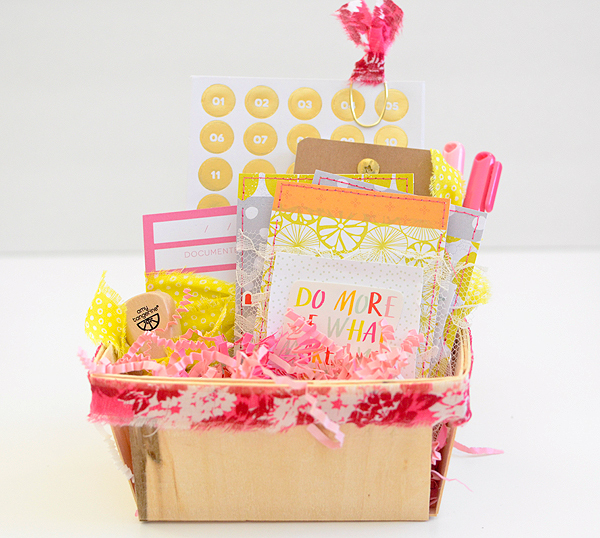 The June kits were bursting with bright colors--so fruity and delicious-looking--and like so many fellow crafters, I'm swooning over the Pink Paislee Citrus Bliss collection, which was featured prominently in the kits. 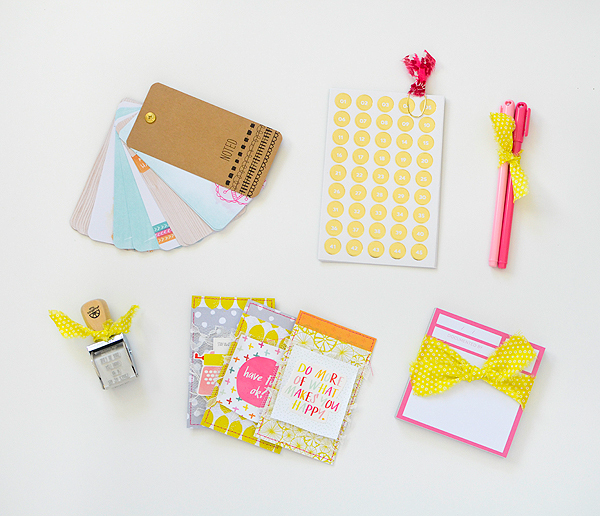 The bright yellow--I LOVE it! 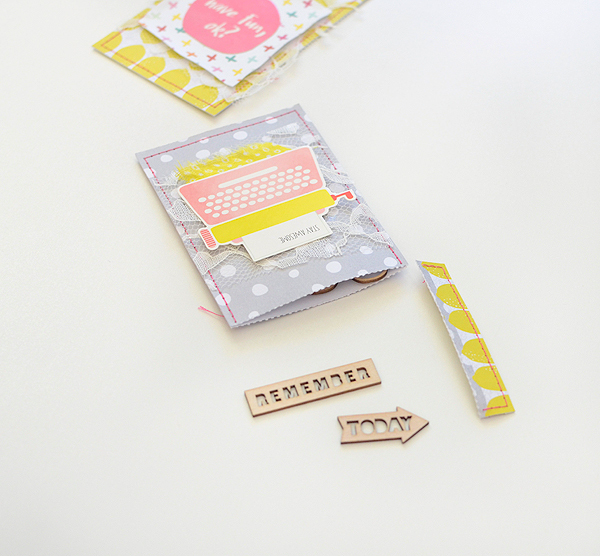 I made some easy, but really fun gift pockets from the CB paper pad. It was one of those things that made me wonder why I'd never thought of it before, but I'll certainly be making many, many more of them. It helped that the kits also had awesome little embellishments with which to fill the pockets. 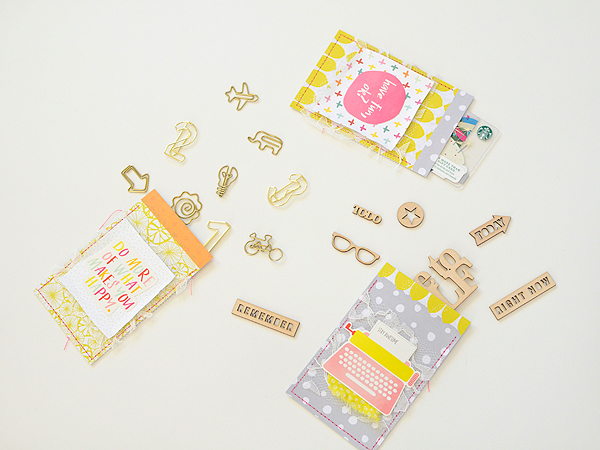 The gift is intended for a planner-loving friend and I know she will get a kick out of the wood pieces and paperclips. 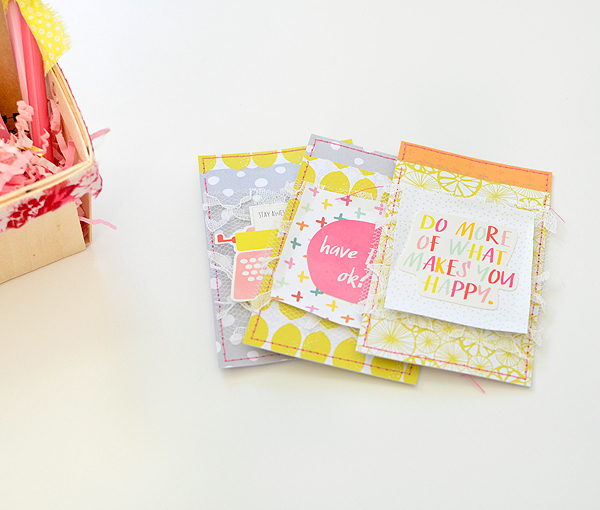 Cute pockets with a perforated tear top...the how-to is on the GB blog (and it's SO easy!) so be sure to check out the entire post. My fingers are crossed that I'll make it back again tomorrow with one last entry before vacation...but if I don't, I'll pop in after the 12th with quite a bit to share, including the rest of my GB projects for June and July. Don't forget about the giveaway happening here and on Instagram...be sure to play along because I might just have a little surprise up my sleeve!